Over the last three weeks, I’ve felt some major pain. Shin splints, a bruised foot bone, a pinched nerve in my shoulder, and dislocated ribs. What the WHAT? Want to know what is more frustrating than making sure not to over train…only to be met with pain that keeps you from training? Yea, I would too…I don’t think anything more frustrating exists. I’ve taken it really easy though and am happy to say…I had an pain-free run yesterday, pain-free yoga this afternoon and another pain-free run this evening!! I’m not sure why my body decided to hate me for the last few weeks…but I’m hoping it is behind me!! A new pair of runners couldn’t hurt anything either! 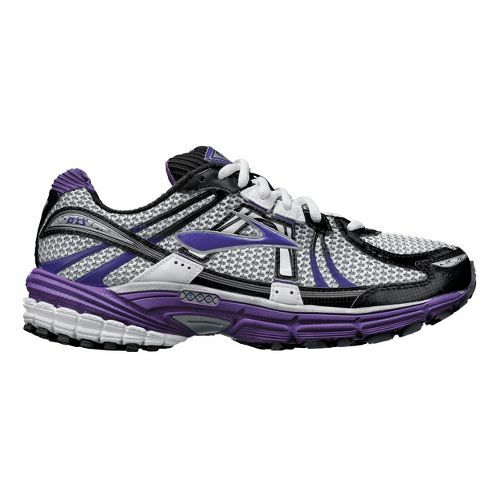 Brooks Adrenaline (of course) GTS 12 – in purple!! I’m currently on the “proceed slowly with training” program…as directed by my amazing chiropractor, and common sense. Basically, I may have to re-assess my distance in the Run Crazy Horse race…boo hoo hoo. I haven’t decided for sure yet if I need to decrease the distance…but I promise to continue The Marathon Project…regardless of the outcome!